Trainer David Payne will discuss options for Melbourne Cup-bound Ace High with owner John Cordina before committing the four-year-old to a start against Winx in the George Main Stakes. Winx has opened the $1.15 favourite to win the Group One weight-for-age George Main (1600m) for a third time with Ace High at $26. Ace High has also been entered in the Group Three Kingston Town Stakes (2000m) which is run at set weights and penalties. “I still don’t know where we are going,” Payne said. 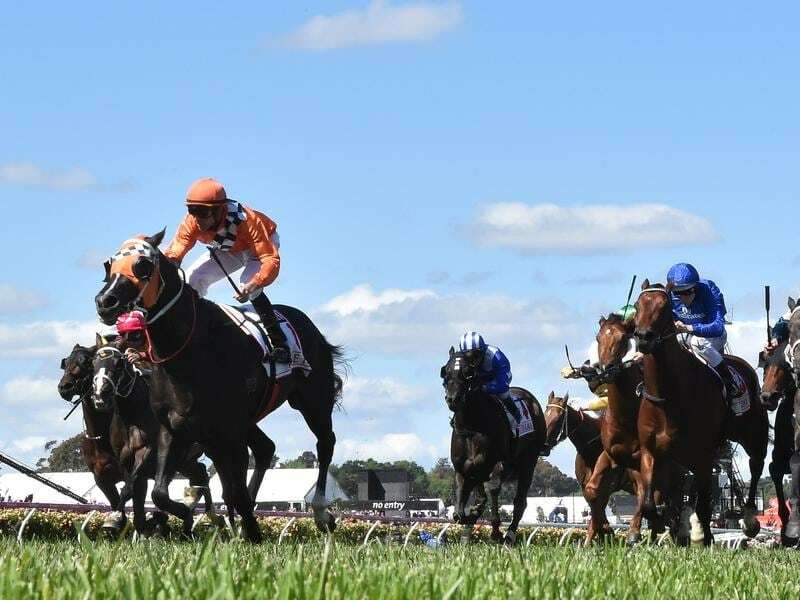 If the 2017 Victoria Derby winner runs in the George Main he will be ridden by Jason Collett with regular partner Tye Angland taking another ride believing Ace High would be going to the Kingston Town following his second in the Chelmsford Stakes (1600m) last Saturday week. There were 22 nominations taken on Monday for the George Main, 15 from the Chris Waller stable including Winx. Kris Lees has entered Le Romain, Prized Icon and Sense Of Occasion. He had also entered triple Group One winner Le Romain for Friday’s Cameron Handicap at Newcastle and the Bill Ritchie Handicap at Randwick on Saturday. But with Le Romain given 63kg for the Cameron on his home track and 61kg in the Bill Ritchie, the gelding is likely to run against Winx. “He won’t be running in the Cameron,” Lees said. Le Romain has 58kg for the Epsom Handicap, 1.5kg less than topweight Happy Clapper. “It’s two weeks from Saturday so he’s a chance of going there for sure,” Lees said. Le Romain is at $15 for the George Main. Of the Waller-trained George Main contingent, several are among the 17 entries for the Group One Makybe Diva Stakes at Flemington on the same day.